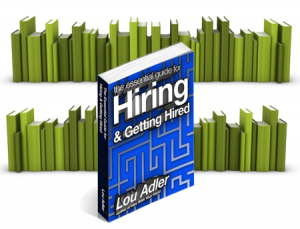 Hosting a book club at your workplace to discuss The Essential Guide for Hiring & Getting Hired is a win-win for any organization. Participation contributes to individual professional development, and the learnings gained from implementing the Performance-based Hiring methodologies will take your company to a whole new level by raising your company’s talent bar. 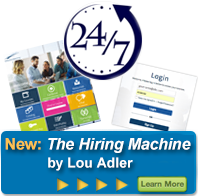 1) Learn the Performance-based Hiring methodologies and try it out at a low cost. 2) Improve quality of hire. 5) Demonstrate that hiring top people requires a great job, a skilled recruiter, a fully engaged hiring manager, and a small batch of highly qualified prospects. The Adler Group would like to be a virtual partner in your book club. Contact us and we’ll guide you through the steps to start your own book club. And as a special bonus, we’ll have someone from The Adler Group (maybe even Lou Adler himself!) call in to join a discussion. There’s no reason to wait. Get started today!